Sustainable investing has come of age, demonstrating a combination of compelling returns and the ability to anticipate new systemic risks, such as climate change. But the financial crisis has generated a flight from risk, affecting many clean tech investments. Some politicians and businesses are now questioning the wisdom of further action to improve environmental performance as austerity looms. Will it be paradise postponed or a great New Deal for sustainable investing? Nick Robins joined HSBC in late 2007 to launch and direct its newly-established Climate Change Centre of Excellence, whose aim is to analyse and communicate the long-term commercial consequences of climate change for the HSBC Group and its clients. The strapline they use for work in this area is &apos;Financing Change, Changing Finance&apos;, which they believe neatly captures the dual role of financial market participants in the face of climatic disruption and wider sustainability threats: first, to direct finance towards assets that sustain and enhance financial as well as human, social and natural capital; and second, to engage in the reshaping of capital markets themselves so that they reward sustainable choices. 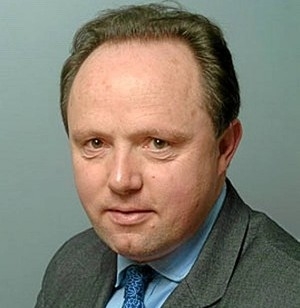 Nick Robins has worked on the policy, business and financial aspects of sustainability since the late 1980s, with time spent at the Economist Intelligence Unit, the European Commission&apos;s Environmental Directorate, the Business Council for Sustainable Development, the International Institute for Environment and Development, and Henderson Global Investors, where he was head of SRI funds prior to joining HSBC. His interests particularly lie how we translate the &apos;soft consensus&apos; around climate change and sustainability among investors into &apos;hard action&apos;. Halving global greenhouse gas emissions by mid-century, while providing for a 50% larger world population in the context of intensifying water stress and a depleting resource base, suggests that fundamental rethinking is required of investment strategies, fiduicary duties, ownership actions and policy engagement. Here, Nick Robins is interested to explore how the dynamic between voluntary initiatives (such as CDP, EAI, PRI...) and market norms/rules can become more effective. In tonight&apos;s talk I want to look forward in time, at the question of sustainable investing. I work for HSBC, where I head up the Climate Change Centre, but I will be talking on my own behalf here, so it will be hopefully more free-flowing. I would like to start by suggesting that sustainable investing is winning the battle in terms of delivering good returns for investors. In the light of the financial crisis, maybe those successes at the micro level are being overwhelmed by us losing the overall war in terms of delivering resilient returns in ways that actually ensure that the natural resource stocks of the planet are sustained. But looking forward 70-odd days or so to the Copenhagen Climate Conference in December, and also to some longer-term issues, I will be suggesting that maybe this is going to be the most exciting decade for sustainable investing in its very short life. There is a huge panoply of different ways of looking at environmental issues, social issues, ethical issues and governance issues, in the financial markets, and we will get into some questions of definition later. But essentially, the view I take on sustainable investing, with Cary Krosinsky, has two focus points. The first is the micro point. If you are a manager of money in particular or you are an asset owner, a portfolio manager, our assertion is that the best way of generating risk-related returns in the 21st Century is to incorporate fully what might have been seen as intangible or even irrelevant factors - environmental, social and governance factors - into the way you allocate money and also in the way you actually deliver on your ownership responsibilities and rights. The second focus point is that if we are going to achieve the goals of sustainable development in a more public policy sense, then we also need to think about capital markets. It is one of the things that has surprised me in discussions about achieving a sustainable economy that generally capital markets have been left out of the equation. It is only recently, in the last three years, that we have thought about how we need to mobilise capital markets, and indeed, how we might need to reform capital markets so they are in tune with long-term wealth generation. For me, one of the defining factors of sustainable investing, that defines it and distinguishes it from previous generations of ethical investing, is that ethical investing is from you to the wider world. It is your values that project on to the wider world. Sustainable investing is from the outside in. It is really looking at the broad trends that are shaping the ways in which companies, businesses and economies are generating wealth, which therefore make it more important for investors, in whatever asset class or region they may be, to start taking them into account. As I said, there are many different definitions. There is an alphabet soup. One woman&apos;s ethical investment will be another man&apos;s socially responsible investment; one person&apos;s responsible investment might be someone else&apos;s sustainable investment. The phrase which is used most often, which I think sounds like an inoculation, is ESG - Environmental, Social and Governance factors. But essentially, in terms of the way myself and Cary looked at these issues when we were defining the book we wrote, because we do need to come to some form of definition, is that ethical investment is about screening the status quo, ruling investments in or out largely on a set of pre-set, normative values, whether they be around alcohol or environmental issues or whatever it might be. Responsible investment has been picked up more in the pension fund community, here in Europe and also in the US. I think about extending the scope of risk management. It is a relatively cautious approach, but we really need to start to think, if we are facing this changing world, how we are to incorporate it into risk. And then, sustainable investing, which seems to be the phrase of the moment, is really about asking how we start repositioning our portfolios for long-term growth and long-term transformation. Again, because the definitions are difficult, it is difficult to identify how much all this is worth these days. A recent report from Robeco in the Netherlands suggested this area was worth around $5 trillion in this sort of investing, or maybe there might be as much as $15 trillion if you take the assets under management from who signed up to the UN Principles of Responsible Investment, of invested capital. If you look at the investors who signed up to the Carbon Disclosure Project, which launched in York this week, that is $55 trillion. So it is quite a sizeable amount of investments that actually include various elements of environmental, social and governance factors. Maybe we could, as a sort of anthropology exercise, try to identify the different tribes of Sustainable Responsible Investment. There is the negative screening and the positive screening, on ethnical, social and environmental facts; investing in community and social investing, again, largely normative-driven; and then we have more investment/value-driven approaches, looking across sectors in terms of identifying companies which may be &apos;best in class&apos;, integrating sustainability analysis into mainstream money; and then pursuing sustainability themes, whether that is in clean-tech or water or forests; and then I suppose a non-investment theme but more a governance theme is investment activism and engagement. I think one of the main factors Cary and our authors in the book came to, when we were looking at sustainable investing, was to try to identify these predictable surprises, particularly these surprises that happen outside of financial markets. I came into the City in the year 2000, and I was very surprised by the limited range of factors that most fund managers and analysts look at in terms of valuing companies, so, we tried to look outside of the normal range of analytical inputs and identify the predictable surprises. This meant, for instance, looking at factors which others see as the intangible assets, but are often more tangible than the so-called financial assets that people traditionally have looked at - issues such as employee engagement, customer satisfaction, the quality of the supply chain, environmental management, and so on. What then follows is that what you are looking factors as financial which others view as non-financial. Another of these phrases in the alphabet soup is &apos;extra-financial&apos;, that sustainable investing is about looking at extra-financial factors, but again, that is maybe perpetuating the myth that these issues do not have any bearing on the delivery of financial returns. Thinking of these factors in this wider sense reaffirms the imperative of prudence and the prudent person principle, and it means thinking through issues which could impinge on long-term returns. I think, fundamentally, that sustainable investing, compared with other investing approaches within this broad family of approaches, is prospective, not retrospective. It is trying to anticipate some of the key challenges for management quality. I think, in many ways, it has been very successful. For instance, it has picked up issues of climate change long before the mainstream, and we have seen the mainstream rapidly struggling to catch up. But this does lead to a fault, and I think the fault perhaps in sustainable investing is often being right too early; it is moving ahead of the market and moving ahead of these issues being fully priced into market valuations. The equity markets are where sustainable investing has become most developed. What Cary Krosinsky and I have done is to look at performance, by looking at the listed mutual funds, which were the funds with a sustainable theme approach or best in class, then grouped the ethical funds, and then compared the performance against some traditional benchmarks which we might all be familiar with - the FTSE S&P500 and MSCI World. These performance figures were done up to the end of the year 2000, and we know that that is a year when a lot happened and has happened since, but for us, what was interesting is that the results suggest that sustainable investing is a worthwhile style, but perhaps only a style that is worthwhile in a bull market. The other thing that was very interesting was looking at the performance of these funds in terms of their holding period. If we are thinking about sustainable investing in the broadest sense, it is not really just about environmental factors, although that has been the driving force, but really thinking about long-term investment, which is a much broader issue. All the experience I have had is that a long-term approach, looking at fundamental values, can pay off. So we have figures that funds with a high turnover suggest that those funds with a longer term horizon might have better performance. But what has happened since 2000? What has happened since is that we have had massive stock market turbulence and collapse in values. So sustainable investing, for the same basket of funds, has under-performed: ethical investing in the year of 2008 is nearly 40% down, MSCI slightly more, and the FTSE not quite as bad. This is one of the reasons why we can be talking about winning battles but losing wars. The relative performance is still strong, but the absolute performance is still very poor, and I think that is one of the things clients will be particularly looking at. If we think through the last decade, we have had two massive shocks in terms of collapse in asset values. So sustainable investing again appears to have not done particularly well in the downturn. Over the five years to the end of 2008, there was a slight out-performance against ethical investing and the other benchmarks, and then, in the first half of this year it has bounced back, but maybe you would expect that to be the case. Let us look at this wider issue that, although sustainable investing appears to be offering you, at the micro level, potentially attractive returns in equity markets, it is being buffeted. However good your returns may be, they have been swamped by the overall failure of markets. We have had a lot of comments and commentary over the last year about what has happened. I think Jack Welch&apos;s comments about shareholder value have been interesting, being the former CEO of GE, and his view is to look at shareholder value as a result, not as a goal. He would not be seen as a great supporter of responsible investment or sustainable investment, but actually thinking through what are some of the underlying drivers of long-term returns - employees, colleagues, and products. We have also heard a lot recently from Adair Turner, talking about the usefulness or not of various financial products, but I think what he touched on here, in his review of the financial crisis earlier this year, was how the crisis has not just challenged the institutional frameworks, but some of the intellectual frameworks which we have in looking at markets, particularly around rational and self-correcting, efficient markets. Perhaps, in Amartya Sen&apos;s phrase, we have been living, in the last generation, as &apos;rational fools&apos;. So, what does the crisis that we have seen, mean for some of the intellectual frameworks by means of which we consider the behaviour markets and the behaviour of agents? Do humans have much more powerful motivations than just rational self-profit maximisation? Do we also have the blinkers and bounded rationality that may prevent us being fully rational? Also, do markets have the tendency to equilibrium that many suggest they are fully rational? Do we need to think about other ways of understanding them and maybe moving from mechanistic understandings to more biological and ecological understandings of the way markets behave? And then if we think about the challenge of climate change, which is the challenge that is facing us all, this appears where current markets really do not appear to be fully reflecting the challenge we face. We know that asset prices do not reflect the costs of climate change, as Nicholas Stern has suggested. Climate change represents the largest market failure the world has ever seen, and this is a capital market failure as well as a failure in the commodity markets. We know that market behaviour also discounts the long-term, which makes it very difficult to appreciate and understand these long-term issues. This has led to huge amounts of capital misallocation, risking financial stability as well as environmental crises. The issue of timescales brings up the issue that is very difficult these days to get through a discussion of finance without talking about Keynes. What I find interesting about Keynes was that he was not just a bohemian intellectual, not just a macro economist, not just an advisor and policymaker with the Treasury and so on, but he was himself an investor. He was a personal investor, and also a Chairman of an insurance company. He knew the City very well, and maybe, like Adam Smith, his knowledge of how the City worked did not necessarily endear him to the behaviour of investors. He saw himself, particularly after his own personal investment failures in the 1920s, as the model of the long-term investor. From this he came up with an idea of the long-term investor which many of us who have tried to act in the long-term might be familiar with, that the long-term investor is one who comes in for most criticism where investment funds are managed by committees or boards or banks. It is the essence of his behaviour that he should be seen as eccentric, unconventional and rash in the eyes of average opinion, and of course, it is better to fail conventionally than to succeed unconventionally. And, to some extent, one could argue that sustainable investment is one of these slightly eccentric, unconventional and perhaps, in some people&apos;s eyes, rash views. How can we depict that in terms of the market? If we look at the chart of the average holding period for shares on the New York Stock Exchange, in terms of years, it has fallen to now being less than a year. I do not think this is an intended outcome, and I think if we look at the power that technological innovation has brought to us, the power of deregulation, that has obviously driven down trading costs. However, I think we have led ourselves to an outcome where we are trading shares and driving the average holding period down to less than a year, making it very difficult for investors to think about a long-term issue such as climate change. We talked about capital misallocation. If we look at the UK as a whole, we are responsible for about 2% of world emissions of greenhouse gases, but if we look at the emissions from the products and facilities of some large fossil companies on the London Stock Exchange, that is about 10% of global emissions. Now, we can wait for carbon pricing to come into effect, but one of the things that concerns me about the future of the London market is the latest scientific evidence that we are going to have to leave perhaps half of all proven economically recoverable oil, gas and coal reserves below ground. What does that mean for the long-term asset valuations and the long-term success of the London markets? Risking financial stability by not taking account of the cost of climate change, by not having a long-term horizon, is leading to environmental damage. This will disrupt ecological systems and also economic systems. A quotation from Munich Re is significant not so much for what it says but for when it was said, and describing the extent of losses from extreme natural catastrophes leading potentially to the &apos;...collapse of entire countries&apos; economic systems and could even bring about the collapse of the world&apos;s financial markets.&apos; All the evidence since he said that has suggested that the impacts and the instability could be greater and perhaps sooner as well. What I would like to suggest is that we have some good evidence to suggest that sustainable development is earning its keep and its apprenticeship is over, but we do have some fundamental macro issues, both within the management of the pure environmental issues but also in the way we understand and manage markets as a whole. I think the investment transformation is on its way. Last year McKinsey and the Carbon Trust did some work looking at the value at risk, again from a climate change point of view, if we start moving towards a safer world. Values at risk in the oil and gas sector are perhaps 30%; opportunities in building insulation and electronics; there is extreme volatility in beer; and the area that interests me most is the uncertain area of the transformation in the automotive and aluminium sectors, and the large amounts of value at risk and opportunity from this transition which is now under way. There are also huge investment opportunities. Clean energy has been growing, to some $150 billion a year. The International Energy Agency suggests that this needs to rise to about $1.3 trillion each year from 2005 to 2050 to put us on a path to climate safety, with huge benefits in terms of energy security and energy efficiency, and energy efficiency investments need to increase by 50 times, so that is potentially one of the next goldmines for the sustainable investor. One of the things that has struck me, as it has many others who have been looking at the environmental and climate change policy agenda over the last year, has been the way in which policymakers have responded to the financial crisis by allocating large sums of their fiscal stimulus to climate change relevant factors. Estimates suggest that about $500 billion have been allocated to a variety of renewables and energy efficiency and water themes, which is significant in itself, and that a recession has not put this drive to a more sustainable investment pattern on the back burner. The second interesting point is the location of this investment. With two-thirds of this investment coming from East Asia, notably China and South Korea, this is suggesting that a new phase of economic development might be under way, particularly in South Korea, which has been very successful in shipping, electronics, automotive and so on. There is a sense that the green economy is the next phase of their development, where they are going to generate the jobs and export growth. That has been, in terms of the looking ahead, an interesting signal that unlike normally in recessions when climate change and other issues are put on the back burner, this does not seem to be the case this time. As I mentioned, we have the Copenhagen conference coming soon, and what we are seeing is pressure from the bottom up, in a range of countries, who have moved considerably in the last two years to drive climate change into their economic plans. India and China are perhaps the most notable, but there is also Mexico and Brazil. We might read a lot of things in the press that tell us that the final deal is going to be very difficult, which it is, but from the bottom up, particularly in key emerging markets, there is a recognition that a change of course is needed and will deliver good returns for economic development, and that is certainly the first step. In the short term, looking ahead over the next couple of months or so, what are the factors that are going to be important for closing a deal in Copenhagen, and how might these things be important signals for the investing community? The first is setting a long-term target in terms of the warming that we need to keep within climate safety. Around two degrees is the international consensus. It is very easy to set long-term targets. The more difficult thing is to set short-term targets, and perhaps we are going to see around 15-20% agreed for industrialised countries, which is well below what the scientists are saying is necessary, and that is largely because of the difficulty of agreeing targets in the US. I think we are already seeing commitments from key emerging markets, from India and China, who are seeing rapid growth opportunities in renewable and energy efficiency markets. There is important agreement on taking action to curb deforestation, which is responsible for about 20% of emissions. This is a part of adapting to climate impacts. The climate is already changing, and I think while we may be most interested and focused on emissions and curbing emissions, developing countries particularly are concerned about the impacts they are already facing. Clean technology cooperation is a huge area, and where I think a number or countries will come together, particularly on solar energy. I just want to pause on the issue of mobilising private capital, because, if you are an investor, this is where it starts getting interesting for you. In the climate discussions so far, over the last ten or fifteen years, the financial community has not really been involved. It has been a policy taker; it has not been really involved. Partly involved maybe, in terms of carbon trading, a little bit involved in terms of insurance, but I think what is now significant is the large institutional investors. For instance, the large pension funds are recognising that their ability to provide for their beneficiaries in the long term is going to be affected by climate change, and are starting to get more involved. A signal of that was a statement launched in New York last week, with $13 trillion behind it, calling on governments to have a broad, ambitious agreement in Copenhagen. What was interesting about that statement was that it was far more ambitious and thoughtful than the statements that are coming out of the corporate community. The corporate community has generally been ahead of finance on climate change, and the roles are now being reversed, with some leading institutional investors taking the lead. We need to reform carbon markets, and it is critical to build the confidence with key countries such as China and India is to avoid carbon protectionism. Therefore, I am relatively confident that a deal will be done. Lots of things could happen to stop that coming about, but that would give confidence to the markets that there is underlying momentum around sustainable investing themes. But also, if we are looking at the wider faults and flaws in financial markets, there are many things that we need to address, which are outside of the policy arena in terms of climate change. How do we deal with the rules, the norms, the incentives, that govern the ways in which assets are represented in markets? Can we afford to wait for carbon pricing to come on board, or do we need to start changing our accounting rules, our disclosure rules, and our listing rules? Do we also need to think about fiduciary duty, not about how to get rid of it, but how to modernise it to reflect some of the realities around climate change? With the issue of rewards and bonuses and so on, what are the mechanisms whereby we can get all people in the investment chain to think about the long-term? What are the ways in which dividend policy and fiscal policy need to be changed? One thing that has struck me recently is that we do, as a country, spend $34 billion a year in terms of tax relief for pensions. How would we want to think about using that subsidy that is there for investment to make sure it is aligned with the goals of sustainable investment? Finally, I want to make the point that investors themselves also need to be transparent in the way they are managing money. Many companies are now being transparent in terms of their environmental performance but, sadly, pitifully few financial organisations and funds are following that pattern.